In 2000, a major effort had been made to collect and synthesize the ALADIN documentation available in paper format in Toulouse. Many notes, papers and reports have been compiled (documents until 2000), with an abstract for each. This collection, the so-called ALADINthèque in French, provides a bibliographical support for all the developers in Toulouse and elsewhere. It might be also a useful starting point for a future computer database, though the text files themselves have not been compiled. To give an idea about the difficulty of this work, we can simply mention that the present list of documents was almost out of date the very day it was made public in Toulouse ... In December 1999, 149 references were in the ALADINthèque. If you are interested in one of the document referenced in this list, please contact Claude.Fisher"++at++"meteo.fr who will send you the corresponding paper copy. As from 2000 all stays reports are on-line. 1/ « Geographic parameters for ARPEGE/ALADIN » by Alain Joly, II 1992. This note describes how part of the sphere, over which the LAM model ALADIN is to be integrated in time, projects onto the model horizontal grid-point arrays. There are two parts : the scientific documentation followed by the documentation of the subroutine eggx, the subroutine capable of transforming a limited set of projection or rotation parameters into properly organized arrays of longitudes, latitudes and other useful geographic values. Caution : eggx changed a lot since this note was issued. 2/ « Preparation of initial and lateral boundary data by internal post-processing » by Radmila Bubnova, 5 X 1992. General tool to get ALADIN (or even ARPEGE) data files for both initial and lateral boundary conditions from global ARPEGE analyses or forecasts (Configurations 927, E927, EE927). This is made by means of a horizontal interpolation in grid point space (bilinear or « 12 points » according to the character of the field), followed by a vertical interpolation with a displacement of the PBL. 3/ « Projections de Lambert, stéréographique polaire et Mercator dans le modèle ALADIN » by Jean-Daniel Gril , 23 VIII 1993. He studied the parameters of the different projections and showed that the knowledge of only 2 angles (f1 and f 2) is enough to describe the projection type. 4/ « Spectral representation of the LACE domain orography with a variational method » by Marek Jerczynski, V 1994. Spectral, high resolution models have problems with orography representation. To avoid them in ALADIN model a variational method, previously applied to ARPEGE model, was tested. Various cost functions were tried in order to obtain the best results in Gibbs waves removal. For this purpose, three criteria have been defined : Gibbs waves reduction, especially over sea ; acceptable spectral properties ; no spurious effects over land. 5/ « Spectral representation of orography for ALADIN and ARPEGE models » by Marek Jerczynski, XII 1994. Dynamical and physical processes in spectral models are strongly affected by the representation of orography. To overcome these issues, a version of variational method was applied in Meteo-France for ARPEGE model, another one was tried for ALADIN. In this paper the ALADIN version of cost function is tested for both models in current and expected future configurations. 6/ « The spin-up in ALADIN model - A preliminary study » by Marek Jerczynski, XII 1994. Numerical prediction models suffer because of imbalanced initial conditions. This imbalance results in a contamination of the fields due to physical processes during the first steps of the model run. There are good methods which enable to prepare well-balanced initial states for purely adiabatic processes but not for diabatic ones. Thus, a full balance including thermodynamic processes is reached by the model itself. This adjustment phase is widely known under the name of spin-up. In this paper, first glances of this problem in the ALADIN model are presented. 7/ « Schéma ISBA dans le modèle ALADIN » by Adam Dziedzic, XII 1995. Installation of configuration e923 for the ISBA surface variables and parameters. 8/ « Initialization of the extension zone in ALADIN » by Gabor Radnoti, X 1998. This very technical note presents the basic ideas and the developments for a proper data partitioning in the E-zone. This work allows for a satisfactory treatment of the E-zone in the distributed memory versions of E923 and E927/Full-Pos. 9/ « Introduction of the Ozone as a prognostic variable in ALADIN » by Zvjezdana Bencetic Klaic, X 1998. This work is the starter of the long-term effort to handle the Ozone content in ALADIN as a prognostic variable. The report describes the implementation of Ozone in climatology fields and its initialization. 10/ « Running 2D plane version of ALADIN model with physical parameterizations » by Doina Banciu, X 1999. This short note describes the principles and the technical environment (namelist « NEMPERT ») for running the plane vertical version of ALADIN, originally developed by Jozef Vivoda. 11/ « Study of a new formulation of the orographic flows » by André Simon, XII 1999. The study deals with the use of a new envelope orography formulation, previously introduced in the ALADIN model by Vladimir Ivanovici, and the comparison with the former representation of orography. Results on cas studies do not show a clear positive impact of the new formulation and a more systematic score computation would be required. Furthermore, the « lift-formulation » was also tested bat its impact was so far not clear : in some cases, lift + new orography gave results closer to old orography than new orography alone, which is unexpected. 1/ « Biperiodicization in ALADIN : review and some explanations » by Radmila Bubnova, 01 XII 1992. Different operators capable of obtaining double-periodicity without generating too sharp slopes at the outside edges of coupling belts, have been coded and tested in the framework of the ALADIN model. Their concept, properties and some results are shortly described (HIRLAM operator ; splines followed by a transversal smoothing ; variational approach). 2/ « Study of coupling problem » by Marta Janiskova , XI 1994. The solution (c) is retained, with 8 relaxation points. In the formula for the relaxation coefficients, the parameter p=2.16, except for humidity where p=5.52. These values should be re-specified in semi-lagrangian or when dx is reduced. 3/ « Comments on « A spectral limited-area Formulation with time-dependent boundary conditions applied to the shallow-water equations » » by Gabor Radnoti, X 1995. A new strategy for LBC-coupling is proposed, where the coupling is done at the end of the grid-point computations and at time level t+dt, instead of coupling at the start of the grid-point computations. This choice avoids the grid-point computations in the extension zone as well as the coupling of any derivative. Monthly Weather Review, vol. 123, pp. 3122-3124. 4/ « Coupling in spectral space » by Victor Ion Pescaru , IX 1994. Concept, coding, experiments and comparisons with grid point coupling. 5/ « ARPEGE/ALADIN : double-periodicization and coupling » by Liviu Dragulanescu, II 1995. Theory and implementation in ALADIN’s code of the biperiodicization operator presently used (cubic spline function followed by a transversal smoothing) and of coupling technics (relaxation scheme applied in grid point space before or after computations or in spectral space). 6/ « Report on the stay in Toulouse » by A. Poredos, Neva Pristov, II 1995. The goal is to find the optimal ratio in the horizontal resolution between the large-scale coupling model and the limited-area coupled model. As a result, ratios are of about 2 between ARPEGE and ALADIN, and of about 1.5 with ALADIN-to-ALADIN coupling. For higher ratios, significative sensitivity is found to the size of the inner model domain and the conditions retained for the coupling. 7/ « Quadratic and linear interpolation of lateral boundary conditions in ALADIN » by David Dvorak, V 1997. Two types of interpolations are tested (note that the quadratic one is only used with the digital filters). As a conclusion, it is proposed to couple linearly, every three hours. 8/ « Small-scale surface wind prediction using dynamic adaptation » by Mark Zagar, VI 1997. A cheap method for coupling ALADIN to ARPEGE is presented, in order to forecast high-resolution surface winds. In the ALADIN model, the vertical resolution is decreased in the upper atmosphere and part of the physics is switched off. The method is validated for the case of a vortex in the Ljubljana basin. The time for the adaptation to be completed is discussed (around 30 to 45 minutes), and it is stressed that the inner domain must be large enough, compared to the real size of the feature of interest. Quaterly Journal of the Royal Meteorological Society, submitted. 9/ « Lateraly boundary conditions for operational regional forecast models : a review » by A. McDonald, IX 1997. A review and a few academic results are presented, for several types of lateral boundary specifications; The paper refers in particular to the work of Caian and Geleyn and the ALADIN project. 10/ « ALADIN spectra in the frame of cycle ALO8 and shared memory » by Claude Fischer, II 1998. A new method is developed to compute the spectra of the usual ALADIN fields (vorticity, kinetic energy, etc...) in phase with the spectral arrays in cycle 8. The algorithms are plugged in the « specwor/specaux » tools developed by Marek Jerczynski. 1/ « Test of the transforms » by Sylvie Malardel and Andras Horanyi, 28 I 1992. Description of modifications and tests made in order to know what transforms are worth to use in ALADIN. They showed that for higher resolutions (>64x64 points) the FFT methods is quicker than a matrix multiplication method for the meridional transform. 2/ « ARPEGE/ALADIN : adiabatic model equations and algorithm » by Alain Joly, III 1992. This paper is a basic element of the ALADIN documentation. It describes the adiabatic formulation of this limited area version of ARPEGE. It contains a summary of the origin of the equations in the various geometries and projections allowed for. This is followed by some useful indications of the organisation of the computations during one time step. Note that the note is obsolescent for curvature terms and coupling, which is semi-implicit. 3/ « Experiments on initialization technics within the barotropic model » by Gabor Radnoti, 20 III 1992. Preliminary study on digital filter initialization (DFI) implementation in ALADIN model : several versions are described, criticized and tested within the barotropic model. 4/ « Detailed documentation for the meridional transforms and the validation of the doubly-periodic dynamics of ALADIN » by Sylvie Malardel and Andras Horanyi, 24 VII 1992. Detailed description of the main structure of the biperiodic dynamic of ALADIN : the final form of the spectral arrays, the basic rules for coding, the coding of the meridional FFT-s, the spectral calculations, the validation of the dynamics, the multitasking and the post-processing. 5/ « ALADIN spectra and horizontal diffusion » by Doina Banciu, XII 1994. The purpose of the present work is to control and to improve, if it is necessary, the tuning of horizontal diffusion in the ALADIN model by means of spectral diagnosis. In this sense a study of kinetic energy, vorticity, divergence, and temperature spectra (initial and forecast fields) for the quasi-operationnal version of ALADIN model and for ARPEGE model, has been carried out over a period of two weeks. The ALADIN spectra have generally a good behaviour, whereas some deficiences were found for the ARPEGE model. For this last case, the tuning of horizontal diffusion did not improve the spurious slope in the high part of spectrum. 6/ « Semi-Lagrangian scheme in the model ARPEGE/ALADIN » by Martin Janousek, 02 I 1995. The implementation of the SL scheme in ALADIN, which follows strongly the one in ARPEGE, is described. Problems like memory management and memory access have been solved like in ARPEGE. However, specific problems like trajectory construction and interpolations are presently treated in a more complicated manner than how it would have been done if simplifications of the plane geometry had been taken into account. Note that most of the developments are obsolescent by now, but the content is of good technical value. 7/ « New experiments on DFI » by Victor Ivanovici , 08 III 1995. 8/ « Workshop on spectral limited area modelling in Europe », VI 1995. This workshop was organised to exchange the experience between HIRLAM and ALADIN. The presentations concerned the pros and cons of spectral methods, the treatment of orography, lateral boundary conditions and coupling etc... In appendix, one can find the several abstracts of the talks. 9/ « A version of ARPEGE/IFS for mesoscale dynamical adaptation : ARPEGE/ALADIN » by Horanyi et al., 1993. This paper is an early introduction of the ALADIN project showing first results for a 24 hour integration + digital filter initialization. Research activities in Atmospheric and Oceanic modelling CAS-JSC WGNE report n°18, 1993, pp. 5.5-5.7. 10/ « The spectral limited area model ARPEGE/ALADIN » by Radnoti et al., 1995. This paper is an early presentation of ALADIN giving a complete description of its technical parts (coupling, DFI, biperiodicization). PWPR report series n°7, WMO-TD n°699, pp. 111-118. 11/ « Some aspects of the initial development of frontal waves using the doubly-periodic version of ARPEGE/ALADIN » by Andras Horanyi and Alain Joly, 1995. This paper shows different results for sensitivity functions in the doubly-periodic version of ALADIN (gradient computation). The gradients are obtained both with respect to the basic state and to the initial perturbation. 12/ « Etude de la condition à la limite de surface (free-slip) dans la version non-hydrostatique d’ALADIN : création d’une version de référence pour les calculs simplifiés » by Fernando Manuel Ramos Marques Prades , XII 1996. How can one specify in a proper manner the free-slip boundary condition at the surface, within a non-orthogonal frame of coordinates (orography) ? A tensor analysis is presented. As a second problem, a more accurate computation of the non-linear term in the model’s divergence is searched. For this, the wind field at the surface has to be computed by interpolation over two layers. Note that this technique is finally note appropriate, as shown since. Technical note (partly in Portuguese). 13/ « Some comments on the extrapolation in case of two-time-level semi-lagrangian method » by Valery Spiridonov , III 1997. A new formulation for the time extrapolation is proposed, based on a better estimate of the first guess at target time. By the use of two additional assumptions, a slightly different extrapolation is obtained, compared to the one in Temperton and Staniforth (1987). Preliminary tests seem to indicate a greater stability of the new scheme. 14/ « Report » by Ilian Gospodinov, III 1997. The goal is to tackle and try to eliminate the numerical instability encountered with the two-time-level semi-lagrangian, non-hydrostatic time scheme in ALADIN. 15/ « Semi-Lagrangian computations in the cycle CY13R3 of ARPEGE/IFS » by Karim Yessad, II 1995. This paper presents the discretization and the implementation of the SL scheme in ARPEGE. Note that more recent versions of this documentation should be fetched at the author’s. 16/ « Improving the efficiency of a digital filtering scheme » by Peter Lynch, Dominique Giard and Vladimir Ivanovici , XII 1996. A method of diabatic initialization is described in which a nonrecursive digital filter is applied to both the backward (adiabatic) and forward (diabatic) steps. It has clear advantages over previously proposed schemes : the initialization requires significantly less computation time and the resulting changes in the analyzed fields are consistently smaller. Despite these smaller increments, the suppression of spurious high-frequency noise is at least as effective as for the earlier schemes. Paper published in MWR, vol. 125, pp. 1976-1982, VIII 1997. 17/ « Some aspects of the sensitivity of idealized frontal waves » by Andras Horanyi, Alain Joly, XI 1996. The sensitivity is estimated by computation of various gradients with the ALADIN package. The gradients are defined with respect to the steady, two-dimensional basic state and with respect to the perturbation, for the kinetic energy and for the enstrophy. One originality here is that the basic state contains potential vorticity anomalies obtained from a previous, non-linear run. When the gradients are computed over the period of linear growth of the frontal wave, then the sensitivity to the perturbation is similar to the one to the basic state, which means that the dominating singular vectors with respect to the basic state already contain most of the dynamical information. As a consequence, the authors anticipate that operational computations of sensitivity fields will emphasize on the stability properties of the large-scale flow and merely ignore quasi-linearly growing synoptic disturbances. When the gradients are computed over the mature stage of the wave, when it has saturated, then there is an indication that reactivation is possible, due to singular modes that are able to extract some residual energy in areas between saturated frontal patches. Beiträge zur Physik der Atmosphäre, volume 69, pp. 517-533. 18/ « Some limits to the variable-mesh solution and comparison with the nested-LAM solution » by Mihaela Caian and Jean-François Geleyn, IV 1997. Solutions of the highly stretched ARPEGE model (c greater or equal to 5) are compared with the ALADIN solutions at equivalent resolution or computational cost. Spectral deformations are evident for c greater or equal to 8.75, while at c=7 the ARPEGE solution remains satisfactory. As a conclusion, there exists a limit for the stretched solution to be valid, and this limit lies in the range (7,9) when expressed with the geometrical parameter « c ». Above this value, one has to use the limited-area model. Quaterly Journal of the Royal Meteorological Society, volume 123, pp. 743-766. 19/ « Study of fibrillations and proposals for new « anti-fibrillation scheme » » by Autun Marki , XII 1997. The joint use of large time steps and K-type vertical diffusion can lead to so-called fibrillation in the forecast fields. An anti-fibrillation scheme is added to the vertical diffusion in order to eliminate the temporal oscillations. The scheme is based on the resolution of a characteristic equation of the complete problem, and problems remain only when this equation admits complex roots. 20/ « A study of the two-time-level semi-Lagrangian non-hydrostatic scheme in ALADIN » by Martin Janousek, XI 1997. Some tests on the correction of numerical instability due to time extrapolation are performed. No definite conclusion is however possible. Note that this report should be taken with care, with respect to the ongoing work on this subject. 21/ « DFI : applications au (3.5 D-VAR) et en non-hydrostatique » by Wafaa Sadiki, I 1998. This is a brief presentation of the use of DFI in the so-called « 3.5 D-VAR » (id est, the trajectory is the one retrieved by the filter) as well as in the non-hydrostatic version of ALADIN. The documentation mainly consists of fortran sources. 22/ « Report on stay in Météo-France in Toulouse » by Danijel Cemas, II 1998. The note is a short presentation on the introduction of a semi-lagrangian formalism in the lower boundary condition. 23/ « Maximum length of the time-step with latest refinements of SL scheme » by George Ganev, V 1998. The purpose is to assess how much the time-step can be increased in the two-time-step semi-lagrangian scheme, with the use of the latest ECMWF improvements (LSETTLS = .T.) and physical changes. On the case of 31 December 1997, oscillations on surface temperature near O°C occur and on the case of 16 November 1997, the DFI initialization produces noise. 24/ « Some studies related to refined ALADIN dynamics and physics » by Marek Jerczynski, V 1998. It is shown that the map factor truncation can be increased to about 90 % of Min (NMSMAX, NSMAX). Also, the use of 6-hour coupling files, instead of 3-hour ones, can remove instability in the backward DFI integration. Finally, the study suggests that the timestep might be increased in two-time level semi-lagrangian to about 600 s (compared to 490 s presently). For bigger timesteps, numerical noise appears due to physical parametrizations (freezing, shallow convection). Note that this positive result is also due to the ECMWF improvements in the two-time level scheme (Mariano Hortal LSETTLS = TRUE). 25/ « Radiative upper boundary (RUBC) in ALADIN » by David Dvorak, VI 1998. This technique should reduce the reflexion of vertically propagating waves at the model top. Current results show a positive impact in the 3 time-level semi-lagrangian model. In particular, it is possible to reduce the increase of the horizontal diffusion with height when the LRUBC is switched on (SLEVDPH = 0.2 instead of 1). The note contains a list of modifications for LRUBC in the code. 26/ « Introduction of SL formalism for the lower boundary condition » by Danijel Cemas, VI 1998. The document presents the hypothesis and the changes for a new lower boundary condition that uses the surface wind parallel to the slope. Two expressions are changed in the equations : one tendency of the pseudo vertical divergence and the computation of the half-level surface wind. Caution is required because the report as well as the code development are still under validation ! 27/ « Etude dans ALADIN de l’impact d’un passage en grille de calcul linéaire ou semi-linéaire pour une advection de type semi-lagrangien » by Metodi Marku, VI 1998. Presently, ALADIN is run with a quadratic grid in order to avoid any aliasing problem. In this work, it was tried to use a linear or semi-linear grid in order to retrieve the maximum spectral resolution for the dynamics for only a small increase in the computational cost. Unfortunately, the results show that some noise still exists (in the continuity equation ?) and it is amplified by the parametrizations. As a consequence, noisy and too strong precipitation patterns are obtained which render the linear or semi-linear grids useless for operations. On the other hand, the dynamics performed well. Rapport de stage d’approfondissement IT, ENM Toulouse. 28/ « Impact of higher vertical resolution in ALADIN » by Erwin Zsoter, VI 1998. In this work, the impact of going from 27 to 41 levels is tested. A 3 week long set of experiments has been used, and the results were checked against observations. In general, the change has almost no impact. Worse results were obtained for 10 m wind (need for a retuning in the surface momentum exchanges ?) and geopotential below 700 hPa. 29/ « Experiments on a new bottom boundary condition for the NH ALADIN » by Doru Iorgulescu and Tamas Szabo, X 1998. This work is the continuation of the study by D. Cemas on the impact of a new free-slip lower boundary condition in ALADIN (based on the condition that the vorticity vector be orthogonal to the orography at the lowest level). The two authors propose a new formulation for the surface vertical advection and they tested two vertical filters (standard one for NHS and Shapiro-filter). The new boundary formulation gives significantly different results for strong slopes, compared to the old formula, as expected. 30/ « Radiative Upper boundary (RUBC) in ALADIN » by David Dvorak, XII 1998. The goal of RUBC is to prevent the reflexion of upward propagating waves at the model top. Therefore,a new prognostic variable « eta-dot-top » is introduced, which represents a guess of the last level vertical velocity. « eta-dot-top » also enters the equation of surface pressure. Tests have been done both in the eulerian and SL models and with a reduced horizontal diffusion in the uppest model levels. The results confirm that the fields are smoother with RUBC switched on. 31/ « Implementation of Two-dimensional model » by Jozef Vivoda, V 1999. The note describes the technical installation of the two-dimensional version of ALADIN in a vertical plane geometry. First results on a quasi-linear non-hydrostatic orographic flow are presented (especially in semi-lagrangian two-time level). This model version will be used for studies on dynamics/physics interaction, lower boundary condition in non-hydrostatic and stability tests of the NHS/2TLSL advection scheme. Only available as file in HTML format. 32/ « Spectral blending of initial conditions with 6-hour frequency `blending assimilation’ by incremental DFI » by Dijana Klaric , Martin Janousek and Gabor Radnoti, VII 1999. The note describes the blending of large scale analyzed fields from ARPEGE with small scale forecast fields from ALADIN. The goal is to create an initial state which would benefit both from the last possible global analysis and from the already dynamically fitted small scales of ALADIN. A technical description is added as well. Technical note from Prague LACE Team. 33/ « Theoretical Problems in Non-hydrostatics » by Jan Masek, XII 1999. The aim of this work was to use a different vertical discretization for the pressure gradient term in non-hydrostatic. The experiments were carried out with the 2D plane vertical model in non-linear flow regime. Both eulerian and 3 time level semi-lagrangian advection schemes were tested. One result is that the modification of the pressure gradient discretization has a smaller impact than then change of the advection scheme, and its general impact remains small. 1/ « Atmospheric parametrization schemes in Météo-France’s ARPEGE N.W.P. model » by Jean-François Geleyn, Eric Bazile, Philippe Bougeault, Michel Déqué , Vladimir Ivanovici, Alain Joly, Laurent Labbé , Jean-Philippe Piedelièvre, Jean-Marcel Piriou, Jean-François Royer, 1994.
in « ECMWF seminar 94 : Physical parametrizations in numerical models », pp. 385-402. 2/ « ALADIN model from the forecaster point of view » by Adam Dziedzic, Szilvia Jenki and Marjan Sandev, V 1994. The pre-quasi-operational version (11r2) of the ALADIN model was tested, for the LACE area and with a horizontal grid size of 23 km. In the first part a subjective comparison is done between forecasted and observed fields during selected periods (December to April). In the second part a statistical study on forecast quality for ALADIN and ARPEGE models is carried out during 20 days (from 1st to 20th of April). 3/ « ALADIN model from the forecaster point of view » by Imre Bonta, VII 1994. Validation of the new version of ALADIN with a particular attention to the precipitation forecast. 11 days were retained from the 19th May 1994 to the 9th June 1994 and a detailed comparison with observations is done for 4 days. The statistical validation indicates that every examined parameter has from the forecaster point of view a very small mean error, and the standard deviations rise considerably only for the last forecasting time. For the 4 studied cases, the stratiform precipitation field is well related to the observed precipitation whereas forecasted convective precipitation is generally overestimated, mainly in the Mediterranean Sea and in mountain regions. Some experiments have been performed to tune the parameters of convection scheme without achieving a better compromise. 4/ « Vérification de la nébulosité et de la température prévues par le modèle ALADIN » by Adam Dziedzic, XII 1994. Statistical verification of ALADIN and ARPEGE models against real data, during 3 periods of 5 days (October and November 1994) for nebulosity and for temperature at 2 m. These two variables are dependent on 4 parameters which have been tuned to achieve better forecasts. In fact these 4 parameters seem to be well initialized. 5/ « Study of the systematic errors in ALADIN associated to the physical part of the model » by Marta Janiskova, XII 1994. Model errors are computed by performing a one-month integration of ALADIN, with lateral boundary conditions specified from the ARPEGE analysis. The error statistics are obtained by comparison with the operational ARPEGE analysis. After a technical description, first results are presented : ALADIN is too warm in the lower troposphere and too cold in the upper levels ; specific humidity is too high throughout the troposphere ; the wind intensity is too high below 850 hPa. A possible coupling mechanism is proposed for these discrepancies, between the diurnal cycle and surface evaporation : too much wind -> too much evaporation -> too much specific humidity -> too many clouds -> not enough cooling to space (radiative) -> vertical temperature profile too steep. 6/ « Application of HRID in ALADIN for vertical atmospheric structure analysis » by Nedjeljka Brzovic, X 1995. This documentation deal with the use of the high resolution isentropic diagnosis model « HRID » in ALADIN. The purpose is a better calculation of the small scale and short duration processes. As a result, sub-synoptic scale processes, especially frontal properties, are better defined. Examples of scripts are included. 7/ « Etude des vents prévus sur les niveaux les plus bas dans le modèle ALADIN, compréhension du biais systématique actuel » by Adam Dziedzic, VI 1995. The quality of the ALADIN wind forecast is estimated and compared to the one of ARPEGE. In general, the forecast of 10-m wind and 700 hPa wind is found less accurate than in ARPEGE. 8/ « Forecasts of different versions of ALADIN for March 27th, 1995 over Central Europe » by Filip Vana, VII 1995. At the end of March 1995, cold fronts with snow still plagued Central Europe. Among these events, the one of March 27th was the strongest and was well forecast by ALADIN. The sensitivity of both the hydrostatic and non-hydrostatic model to changes in the mixing length are studied in this work. 9/ « Tuning of some physical coefficients » by Imre Bonta, Istvan Ihasz, Marjan Sandev, V 1995. Parameters linked to the mixing length are tuned and tested on several real case studies. This is necessary since the low-level wind and humidity forecasts appeared to be worse than in ARPEGE. Also, the von Karman coefficient is touched. Slight improvements are obtained only on humidity. 10/ « Etude de cyclogénèses convectives en Méditerranée » by Carmen Dutescu, XII 1995. On several case studies, it is shown that the coupling between convection and model dynamics is unrealistic. A new closure is therefore tested in the parametrization of deep convection. However, no improvement is noticed. Rapport de stage de mastère ès Météorologie, ENM. 11/ « Numerical simulations of the Adriatic cyclone using the ALADIN model : investigation of systematic model trends » by Nedjeljka Brzovic, Mark Zagar, V. Jurcec, 1996. This study concentrates on Adriatic cyclones simulation and associated local weather conditions which are given by the observations. The results reveal that a high resolution ALADIN offers the possibility to investigate details of the local features during development. It can be seen how Alpine and surrounding topography can generate rich mesoscale flow structures. Attention was devoted to the surface fields, which appear to be satisfactorily forecast in the three selected cases. 12/ « Behaviour of high resolution ALADIN in squall line development » by Istvan Ihasz, VI 1995. Several situations are studied, with squall line developments over Central Europe, including tornadoes. Precipitation forecasts of the operational version of ALADIN are compared to high resolution forecasts and to observations. The high resolution ALADIN apparently produces better precipitation forecasts. 13/ « Unrealistic cooling during clear winter nights » by Neva Pristov, VII 1996. Forecasters have recognized that the 2m-temperature on winter mornings, after a clear night, was too low. Modifications in the longwave part of the radiation scheme, concerning the surface budget, are tested. Only in areas with strong inversions does the modified scheme give better results, and more investigation is needed. 14/ « The climatological skill of the ALADIN model over Europe » by Nedjeljka Brzovic, V 1997. Statistics on model errors over a one-month integration are presented. Comparisons are made with the (verifying) ARPEGE analysis. This method is the same as the one used in Janiskova (1994). Three years later, one is interested in assessing whether the modifications introduced in the meanwhile in the code do change the systematic errors or not. As results, the temperature is still too warm in the lower troposphere, especially over the sea surfaces. Also, the specific humidity is too high in the planetary boundary layer (especially over seas). The biases noted by Janiskova (1994) are therefore still present. Problems are suspected from marine surface fluxes or vertical transport by turbulence. The use of a new package of physical parametrizations (NEWPY) does not improve the results. 15/ « Validation of a cloud water and cloudiness diagnostic scheme » by Cristina Paula Felisberto Madeira, XI 1996. The diagnostic formulation of the cloud water content is changed by taking into account the supply due to shallow convection. As a result, the cloud water content is significatively increased, and the values slightly overestimate the climatological ones (from SSM-I). The cloudiness is closer to the IS-CCP climatology. Questions concerning the interactions with the parametrization of the radiative processes remain open. The future use of this development remains uncertain. 16/ « Report on the stay in Toulouse » by Meriem Zitouni , III 1997. Comments on recent changes in the « verif.pack » package. 17/ « Sensibility of precipitation fields in ARPEGE/ALADIN while tuning physical parametrization » by Dijana Klaric, XII 1996. The goal is to investigate the unrealistic precipitations during the `96 summer in ALADIN. ALADIN predicted stronger convective events than ARPEGE and it was drier. A precipitation verification package is developed (model to observations) and added to MANDALAY (statistics). Sensitivity tests with respect to the parameter TEQREF, which controls the convergence of humidity, are presented. 18/ « Vérification du modèle ALADIN en version non-hydrostatique et semi-lagrangienne pour la situation PYREX » by Adam Dziedzic, XI 1996. Two scripts are developed to go from ALADIN hydrostatic files to ALADIN non-hydrostatic files. The final resolution is 2.5 km and 40 levels in the PYREX domain. During validation, the model quickly explodes, which is left as an open question. 19/ « Assessment of impact of the new low-level blocking parametrization scheme on momentum fluxes over the Alps » by Gregor Gregoric, 1997. This work shows the implementation of the impact of low-level flow blocking. This produces a new term of vertical momentum flux, in addition to the orographic wave. Furthermore, the effect of the variability of the sub-grid orography is taken into account by adding the root mean square of the high-resolution orography to the mean height. First validations are performed over the Alps. As a conclusion, the change in orography produces a significative impact, while the low-level blocking does not. 20/ « Unrealistic cooling during clear winter nights » by Marjan Sandev, XI 1996. This work is the continuation of the one by Neva Pristov (april 1996), who introduced changes in the computations in the longwave radiative fluxes. Here, it is shown however that these changes do not explain the observed differences on the 2-metre temperature field, and that this difference is not sufficient. Next, the inertia on surface temperature is increased when there is freezing or melting at the surface (parameter HSOL). The first results are positive, but the formula for HSOL has to be improved. 21/ « Diffusion verticale de la quantité de mouvement » by Luc Gérard, XI 1996. This work presents the discretization and the preliminary implementation of the vertical diffusion for the non-hydrostatic pseudo-vertical divergence. 22/ « The reduction of the horizontal diffusion of humidity in the ALADIN model over the LACE domain » by Vladimir Pastircak , VI 1997. This work is the continuation of the one by Neva Brzovic (1997), who found that the cumulated precipitations in a one month period were too strong in mountainous areas, compared to observations. The reason for this bias is investigated. Firstly, a simulation without orography is performed and the ratio between convective and large-scale precipitations is computed over the Alps and over the LACE domain. Secondly, the orography is introduced and the horizontal diffusion is progressively reduced, until the same ratio is obtained. As a conclusion, no sensitivity to the intensity of horizontal diffusion (parameter HDIRQ) is noticed. 23/ « Paramétrisation de l’impact du gel de l’eau dans le sol sur l’évolution des températures de surface/Soil negative temperature treatment in ALADIN » by Malgorzata Szczech, X 1997. It is shown that the mere modification of the ground thermal coefficient Cg is not enough to correct anomalies for frozen soils. An alternative proposal is to add a new historical variable, namely the ice content fraction in the soil. 24/ « Diagnostics of the individual terms of Kuo’s closure and associated feedback » by Josef Vivoda, X 1997. Unrealistic precipitations are found to occur in mountaneous regions due to the vertical advection of the water content. Since several at-hand modifications of the parametrization of convection have failed, it is proposed to study further on a closure based on the computation of CAPE. 25/ « Study of fibrillations associated with the parametrization of shallow convection » by Maja Prtenjak, IX 1997. The fibrillations observed in ALADIN despite the use of an anti-fibrillation scheme were studied in the 1D-model. The role played by the shallow convection scheme was investigated. The results showed that no such fibrillation exists in the 1D-model but the present formulation of the shallow convection scheme is too crude and it will have to be reformulated in the future. 26/ « Diagnostics of PBL » by Dagmar Dufkova , IX 1997. The work presents a way to define the height of the planetary boundary layer with the diagnostics of the vertical fluxes. 27/ « Application of the simplified radiational parametrization in the forecasting model » by Sandor Kertesz, IX 1997. The aim of this work was to assess the potential use of the simplified radiation scheme, developed for the tangent linear model, inside the direct non-linear model. The simplified scheme uses constant radiative coefficients with only a sequential refreshment every « X » hours (by calling the complete, expensive scheme). It is shown that the coefficients can be kapt constant over a 24 h period but the results of the integration depart from the reference. This discrepancy can be due to the lask of representation of the clouds in the simplified scheme. 28/ « Study of the spin-up problem in ARPEGE and ALADIN » by Thomas Haiden, IX 1997. The spin-up due to imbalances between the model dynamics and the physical fluxes (especially convection) is studied. Global variances of the tendencies of prognostic variables on 3 different pressure-levels do not show any significative spin-up in ARPEGE whereas they reveal adjustments in ALADIN. Also, surface fluxes of precipitation and evaporation averaged over zonal bands reveal that ARPEGE reaches a hydrological balance rather quickly compared to other models (ECMWF, FSU). Geographical differences are shown : the convection scheme produces spin-up in the Tropics, while large scale precipitations produce it globally. 29/ « Non-hydrostatic physics in ARPEGE-ALADIN » by Luc Gérard, III 1998. High-resolution simulations of a squall-line (case of 21 July 1992) are produced, with the implementation of the horizontal pressure gradient effect on horizontal velocity entrainment. First results show a promising effect of this new term. 30/ « Implementation of CLIMA group configuration and ECMWF physics package into 1D vertical version of IFS/ARPEGE model » by Josef Vivoda, IV 1998. This work concentrates on the extension of the 1D model to include the ECMWF physics and comparison with the Météo-France version. 31/ « Intercomparison of physical packages » by Josef Vivoda and Jean-Marcel Piriou, XI 1998. TOGA and GATE cases were studied. The results show biases in the radiation budgets due to different cloud and water phase productions in ARPEGE and in ECMWF. The introduction of the Tiedtke convection scheme improves the results for ARPEGE significantly. 32/ « ALADIN model from the storm forecaster point of view » by Imre Bartha, XII 1998. A 10-km resolution version of ALADIN was used to simulate two events of convective systems in the Balaton Lake area. A good overall description of the precipitation patterns is noticed, when compared to radar reflectivities. Small scale wind features are missed due to the unsufficient resolution which prevents from a satisfactory representation of Lake Balaton itself. 33/ « More sophisticated treatment of te radiative properties of the clouds » by Cristina Paula F. Madeira, VI 1998.
too thick ice clouds in thermal spectrum. not enough absoption by ice clouds in solar spectrum. A set of new values is proposed for some optical parameters (absorption optical depths for ice and cloud particles). 34/ « Horizontal diffusion and friction parameters tests on ALADIN on problematic situations » by André Simon, I 1999. 1/ part of the problem came from the initial conditions (ECMWF analyses give better results than ARPEGE ones). 2/ part of the problem came from the model itself. For point 2/, the impact of increasing the boundary layer friction in stable conditions (parameter USURIC) was tested and lead to the somewhat contradictory conclusion that the storm was stronger with more friction. 35/ « Impact of higher vertical resolution in ALADIN and sensitivity studies or how to produce a cyclone over the Bay of Biscay » by Marjan Sandev, II 1999. This work is in continuation with André Simon’s study. Firstly, the impact of an increased vertical resolution in ALADIN was tested. It was shown that going from 31 to 43 levels increased the statistical results on 10 m. wind and 2 m. temperature (the latter because of increased cloudiness). Secondly, a set of physical parameters were modified for the 20 December 1998 storm. Especially, the coupled effects of horizontal diffusion and physics were studied. 36/ « Erreurs compensatoires dans la physique : intercomparaison et modélisation 1D » by Jean-Marcel Piriou and Jozef Vivoda, III 1999. This presentation deals with the investigation of error biases in the model physics and their study in the frame of the 1D model. Presented at « Ateliers de la Modélisation de l’Atmosphère », XII 1998, in French. 37/ « Diagnostics with the new parametrization of the convection » by Vladimir Pastircak, IV 1999. New parameters in the scheme of convection (work of Doïna Banciu and Luc Gérard) have been tested. A first proposal for their tuning is made. 38/ « Current investigations at Météo-France about deep convection and cyclogenesis in numerical weather prediction » by Jean-Marcel Piriou, Nedjeljka Brzovic, Mark Zagar, V. Jurcec, Doina Banciu and Carmen Dutescu, X 1999. The presentation is a short overview of the quality and the onjoing improvements for the operational NWP at Météo-France. It deals with model control, role of multiscale approach in research and validation processes, quality of the LAM models, march towards higher resolution and role of European collaborations in our NWP developments. In « Plinins Conference on Mediterranean Storms », EGS, Maratea, Italy, 15 Octobre 1999. 1/ « Expériences ALADIN concernant le forçage induit par la surface terrestre sur l’atmosphère » by Elena Cordoneanu, 11 II 1993. Two meso-a and -b scale cases (a cyclogenesis on the West of the Black sea and a breeze case, on its coast) have been simulated with ALADIN model. The wind at 10 m and at 1000 hPa, the surface pressure and the temperature at 2 m were controled. 2/ « Application of the ALADIN model to a PYREX case » by Klaus Von Der Emde, 10 III 1993. The ALADIN model with a 10 km resolution, has been applied to a case of a highly resolved steep orography. The IOP3 of the Pyrenean experiment has been chosen because it is a good documented case and has already been simulated by other models, for instance by the research version of the PERIDOT model. Results after 8 hours of integration are shown and compared with observations and some PERIDOT results. 3/ « The Euler equations of motion with hydrostatic pressure as an independent variable » by René Laprise, I 1992. A novel form of the Euler equations is developed through the use of a different vertical coordinate system. It is shown that the use of hydrostatic pressure as an independent variable has the advantage that the Euler equations then take a form that parallels very closely the form of the hydrostatic equations cast in isobaric coordinates. This similarity holds even when topography is incorporated through a further transformation into terrain-following coordinates. This leads to suggest that hydrostatic-pressure coordinates can be used advantageously in non-hydrostatic atmospheric models based on the fully compressible equations. This paper is the founding paper for the non-hydrostatic version of ALADIN. In Monthly Weather Review, volume 120, pp. 197-207, 1992. 4/ « Integration of the fully elastic equations cast in the hydrostatic pressure terrain-following coordinate in the framework of the ARPEGE/ALADIN NWP system » by Radmila Bubnova et al , II 1995. Following the suggestion of Laprise, a non-hydrostatic version of ALADIN has been developed using hydrostatic pressure as an independent variable. The dynamics employ the fully elastic Euler equations of motion, orography being introduced via a terrain-following hybrid coordinate. A semi-implicit scheme has been formulated to control both acoustic and gravity waves. The representation of the horizontal pressure gradient term fulfills the rules of conservation of energy and angular momentum. Some instability problems were encountered and it was thus necessary to introduce an additional semi-implicit type of correction of the non-linear part of the total 3D divergence, a solution that calls for iterations of the semi-implicit scheme. The results of a few idealized numerical simulations and of a real situation are presented. Monthly Weather Review, vol. 123, pp. 515-535. 5/ « Comparison ARPEGE-ALADIN experiments on December 1994 and January 1995 » by Vladimir Pastircak, 23 II 1995. Operational ARPEGE forecasts were interpolated into ALADIN grid and compared with ALADIN forecasts. The charts were mostly very close to each other but sometimes the differences were rather remarkable. Only 4 cases with differences in 2 m temperature were retained for investigation : these temperatures were found unrealistic in ARPEGE : more than 4 degrees lower than in ALADIN. They occured within an anticyclone with slight winds, and ARPEGE forecasts were often drier, at least for one level. Despite temperature budget computations and modification of radiative scheme, the reasons remained spurious. 6/ « High resolution simulation of a flow past the Pyrenées » by Klaus Von Der Emde and Philippe Bougeault , III 1996. ALADIN is used to simulate the flow past the Pyrenées for IOP 3 of PYREX. The simulated flow compares well with the observations. In particular, the evolution of two counter rotating eddies in the lee of the Pyrenean mountain range is captured correctly in space and time. Also, the orographic drag and the vertical momentum flux agree well with the measurements. Meteorology and Atmospheric Physics, vol. 62, pp. 1-8. 7/ « Simulation d’une ligne de grains en Afrique de l’Ouest à l’aide du modèle à aire limité ALADIN » by Mame Ousseymou Camara, XII 1996. The goal is to study the capability of the model to simulate a squall line observed during HAPEX-SAHEL. Sensitivity tests are performed, with respect to horizontal resolution, initial conditions, parameters controling precipitations (eg. convergence of humidity). A partial conclusion is achieved on this case : one needs to use the complete fraction of convergence of humidity to obtain precipitations equivalent to the observed quantities. Rapport de stage du mastère spécialisé de météorologie tropicale, Ecole Nationale de la Météorologie, Toulouse. 8/ « Non-hydrostatic processes invoked by diabatic effects » by Martin Gerra, III 1997. Energetical budget of a non-hydrostatic adjustement to a localized thermal forcing. It is known that one third of the initially prescribed perturbation internal energy is radiated away by transient inertia-gravity waves. This result is recovered in the numerical non-hydrostatic simulations. Problems due to the reflexion of the waves at the model’s top have to be checked in the future (sponge, radiative boundary conditions, ...). 9/ « Assimilation de cyclones tropicaux à l’aide des modèles ARPEGE-ALADIN » by Premchand Goolaup and Félix Randrianavalona, XII 1996. This note presents the implementation of a so-called « bogussing » technique. It consists in using the limited area model to describe the small-scale structure of a cyclone, which is then reset in space-time according to observations. The resulting fields are introduced into the ARPEGE data assimilation. The whole process is repeated four times and provides in output the analysis that is used to integrate the global model. Validation of this technique on real cases remains to be done. Rapport de stage de mastère spécialisé de météorologie tropicale, Ecole Nationale de la Météorologie, Toulouse. 10/ « Coupling a multi-layered snow model with a GCM » by Eric Brun, Eric Martin and Valery Spriridonov, VI 1997. The snow cover model CROCUS, from the CEN, is coupled with ARPEGE-Climat in a synchronous manner (each time step). A five-year integration in T42 truncation is performed. The resulting profiles of various snow covers are realistic and compare well with the presently available climatology. 11/ « Development of simplified and regular physical parametrizations for use in four-dimensional incremental variational assimilation » by Marta Janiskova, Jean-Noël Thépaut and Jean-François Geleyn, 1996. Simplified and regular parametrizations are presented, for which one can then compute the adjoints, vertical turbulent dissipation, gravity wave drag, stratiform precipitations, radiative fluxes, convection. One originality is the new parametrization of radiative processes, which relies on the so-called « delta-2-stream » approximation of the radiative transfer equation. This approach leads to the specification of local absorption depths and to a 3*3 matricial formulation at each model level. Validations are presented for direct non-linear runs and tangent linear ones. Eventually, the new parametrizations will be implemented within the minimization of the cost function in the 4D-VAR. 12/ « ALADIN/SAFRAN/CROCUS experiment over the region of the Alps » by Mihaela Caian and Valery Spiridonov, IV 1997.
b) pure dynamical run of Safran. Discrepancies are observed on the mean temperature, the precipitations (10 % lower in b, 50 % difference over snow), the mean wind near the surface (stronger in b than in a). 13/ « Potentiel du modèle ALADIN-France pour la prévision de la convection » by B. El Johra, M.Y. El Qabli , VI 1997. Rapport de stage de recherche EIT, Ecole National de la Météorologie, Toulouse. 14/ « Apport d’une analyse à méso-échelle pour la prévision immédiate des systèmes convectifs » by Christophe Calas, XI 1997. The CANARI analysis is adapted to mesoscale data assimilation. The horizontal length scales of the error correlations are dramatically decreased (by a factor 5 to 7) and the vertical ones are slightly increased. This tuning is performed by comparison between 2m-temperature and 10 m-wind analysis fields and observations. The main topic is however to study the onset and the evolution of mesoscale convective systems over France, with the help of model diagnostics : low-level humidity convergence, CAPE, kinetic energy barrier. It is found that a combination of these 3 fields is necessary to assess the onset of convection 1 to 4 hours before validating time. A range of synoptic situations is presented, for which this short-range forecast makes sense. An outline of possible future operational applications is drawn. Thèse de l’Université Paul Sabatier, Toulouse III. 15/ « Mesoscale analyses and diagnostic parameters for deep convection nowcasting » by Christophe Calas, Véronique Ducrocq and Stéphane Sénési, 1998. The contribution of surface data to convection nowcasting is studied. Hourly mesoscale analyses are performed with CANARI/ALADIN with data from the automated groundstation mesonet. The analyzed fields are then used to compute diagnostic fields for convective instability and low-level lifting and moisture supply (CAPE and MOCON). These diagnostics are compared to radar reflectivity images taken 1 to 4 hours after analysis time. It is shown that the analyzed fields indeed contain valuable information for nowcasting purposes. Paper prepared for Meteorological Applications. 16/ « Realization of a simplified, differentiable and realistic physical parametrization for incremental four-dimensional variational data assimilation » by Marta Janiskova, XI 1998. This book is the PhD manuscript of Marta Janiskova’s work on simplified physics. This development will in future enter the ARPEGE sensitivity experiments. PhD Université P. Sabatier / Geophysical Institute of Slovakia. 17/ « Diagnostic tools using a mesoscale NWP model for the early warning of convection » by Véronique Ducrocq, Diane Tzanos and Stéphane Sénési, XII 1998. The paper describes the use of high-resolution, high density CANARI analysis and the computation of convection-related indicators for nowcasting of heavy storm events. The combination of several such diagnostic fields is discussed in the frame of three different paradigmal real case studies. In Meteorological Applications n° 5, 1998, pp. 329-349..
18/ « Simplified and regular physical parametrizations for incremental four-dimensional variational assimilation » by Marta Janiskova, Jean-Noël Thépaut and Jean-François Geleyn , 1999. A set of physical parametrization has been developed for inclusion in incremental four-dimensional variational assimilation (4D-Var). The goal for this physical package is that it be simple, regular (for the efficiency of the minimization in 4D-Var), and at the same time realistic enough. The package contains a simplified computation of radiative fluxes, vertical turbulent diffusion, orographic gravity waves, deep convection, and stratiform precipitation fluxes. Its tangent-linear and adjoint counterparts have also been developed. The validations of the simplified physical parameterizations and of the tangent-linear model with those included have been done. The importance of regularization (removing some thresholds in physical parameterizations that can affect the range of validity of the tangent-linear approximation), which arises during validation of the tangent-linear model, is assessed. In Monthly Weather Review, volume 127, pp. 26-45, 1999. 19/ « Etude de sensibilité sur les mauvaises prévisions de tempête » by Adam Dziedzic, V 1999. 1/ « Etude du passage à une version pré-opérationnelle du modèle ALADIN sur la France » by Pauline Biecheler, Tome 1, VI 1995. In this study, several parameters are tuned for use in the pre-operational ALADIN-France. Rapport de stage ingénieur de l’ENSHM Grenoble. 2/ « Etude du passage à une version pré-opérationnelle du modèle ALADIN sur la France » by Pauline Biecheler, Tome 2, VI 1995. 3/ « Scripts de la chaîne opérationnelle du modèle ALADIN/Maroc » by Radi Ajjaji, Samir Issara , VI 1995. 4/ « Simulation de la chaîne opérationnelle du modèle ALADIN/Maroc en assimilation et en intégration » by Radi Ajjaji, Samir Issara, VI 1995. This work presents the algorithms prepared for the future Maroccan operational throughput. 5/ « Memorandum of Understanding » by Coll., XI 1996. Global and formal presentation of the ARPEGE/IFS/ALADIN project with an overview of the partner countries involved and the objectives and commitments and rules. Some overview and outlook are given to pre-operational issues and implementations (workstations, LACE, ...). 6/ « ARPEGE/ALADIN : a numerical weather prediction model for Central Europe with the participation of the Hungarian Meteorological Service » by Andras Horanyi, Istvan Ihasz, Gabor Radnoti, XII 1996. This is a general presentation of the ALADIN code and of its various technical choices. Example of its application at HMS are given, and future plans are drawn. Quaterly Journal of the Hungarian Meteorological Service, volume 100, number 4. 7/ « Scripts de la chaîne opérationnelle du modèle ALADIN/Maroc » by Radi Ajjaji, Samir Issara , VI 1995. 8/ « Signature of the Memorandum of Understanding » by Joël Hoffman, XI 1996. This document contains introductory speeches, plus the MoU itself and plans for 1997. 9/ « Formation du CMAFOC-MAROC et modification du logiciel OULAN-BATOR » by Hassan Haddouch, X 1997. During this stay, specific observation files for the Morocco-domain have been prepared, which are then mixed with the observation files for France. Extra observations from aircraft (AIREP, AMDAR, ACAR) have been added (the documentation contains also the source codes). 10/ « Rapport de stage février/mars 1998 » by Radi Ajjaji, III 1998. Implementation of CY18T1/AL08 in Morocco, as well as installation of the new surface scheme ISBA. Several other tools have been tested : Mandalay, ISBA/non-ISBA converters, CANARI in distributed memory. 11/ « Validation du modèle ALADIN » by Jean-Marc Moisselin, IX 1997. Both a subjective and objective validation of ALADIN, compared to ARPEGE, is performed in operational mode (forecasters, skill scores). On 24 h and 36 h forecasts, the forecasters at Météo-France give almost the same judgement to ALADIN and ARPEGE. Skill scores indicate a slight improvement on all fields for ALADIN, except for the precipitations which are worse than in ARPEGE. Note du SCEM n° 24. 12/ « ALADIN phaser’s guide » by Radi Ajjaji, Jaouad Boutahar, Jean-François Geleyn, VII 1998. The guide is a very useful presentation of the aims, rules and methodology of the ALADIN phasing (with respect to ARPEGE). This guide should be read at least once by everyone who works on the code, especially the phasers. 1/ « Introduction de l’analyse CANARI du modèle global ARPEGE dans le modèle à domaine limité ALADIN » by Radi Ajjaji and Samir Issara, VI 1994. CANARI (operational analysis by optimal interpolation of the ARPEGE global model) has been adapted to the LAM model ALADIN, so that this model contains its own data assimilation cycle. Several comparisons have been made between interpolated ARPEGE analyses and new ALADIN analyses and between ALADIN 6 hour forecasts using these different initial states. Rapport de stage de recherche EIT, Ecole Nationale de la Météorologie, Toulouse. 2/ « Rapport de stage : assimilation des champs de surface d’ISBA » by Samir Issara, I 1998. The new historical variables of the ISBA surface scheme are assimilated with an optimal interpolation technique. Firstly, a validation of the ISBA assimilation in ALADIN-Morocco is performed. Secondly, the analysis of specific humidity, instead of relative humidity, is tested. This work is continued in Morocco. 3/ « Analyse variationnelle du réseau de dropsondes de l’expérience FRONTS 92 : application du 3D-VAR ARPEGE et discussion de l’erreur due à la formulation incrémentale de l’analyse à partir d’une maquette 1D-VAR sur le cercle » by Gerald Desroziers, B. Nechad, Wafaa Sadiki, Jean-Noël Thépaut , XII 1997.
a) stretched increments with a 100 km resolution at most. This gives realistic structures provided that the length scales of the separable error correlations are significantly reduced. b) homogeneous increments with non-separable correlations have realistic vertical structures and horizontal structures inside the observation network. However, in the outer vicinity of the network, unrealistic features appear due to the error of representativness of the increment (the observation network is too dense compared to the resolution of the analysis increment). The error of representativness of the increment is studied in an idealized 1D model and it is finally proposed to introduce this new term into 3D-VAR/ARPEGE for mesoscale-type of data assimilation and into multi-incremental 4D-VAR. Note de travail du GMME n° 53, CNRM Toulouse. 4/ « Sensitivity study using the 801 configuration of ARPEGE/ALADIN » by Cornel Soci, III 1998. The computation of the gradients in ALADIN is validated numerically. Pictures of gradient fields are shown for a 12 h integration over the SELAM domain. It is pointed out that there exists no proper way for plotting the gradients (since the adjoint of post-processing does not exist). 5/ « Experiments with the optimal interpolation scheme of CANARI in ALADIN » by Neva Pristov, V 1997. Five situations are selected, for which the sensitivity to initial conditions is found to be important (based on RMS errors on 48 h-36 h forecasts). The comparison between ALADIN and ARPEGE is rather mitigated, when compared to observations. Also, the February 18th 1997 case from FASTEX was studied in more details. ALADIN/CANARI is better than ALADIN/DYNAMICAL ADAPTATION at the beginning, but worse after 3 hours. For humidity the dynamical adaptation is always better. Finally, a setup for an assimilation cycle is proposed. ALADIN data assimilation workshop 1997, technical note. 6/ « CANARI ARPEGE/ALADIN : Informatical code cycle CY15T2/AL06 » by Samir Issara, V 1997. 7/ « Data assimilation experiment for ALADIN/LACE using CANARI (optimal interpolation) » by Maria Siroka, V 1997. This document contains a technical description on the use of CANARI in ALADIN. Then a detailed study between ARPEGE, ALADIN in dynamical adaptation and ALADIN/CANARI is performed, based on the 48 h-36 h forecast differences. The same five cases are used as in N. Pristov’s work (see 5). The results are mitigated and no definite conclusion on the improvement due to CANARI can be drawn. Finally, the implementation of incremental DFI is described. 8/ « Implementation of 3D-VAR in the limited area model ARPEGE/ALADIN » by Lora Gaytandjieva and Roger Randriamampianina , V 1997. The 3D-VAR is adapted to ALADIN, with only the use of the Jo-term. The decrease of the cost function is in good accordance with what is known from ARPEGE, so that the implementation can be considered as successful. 9/ « The Jb-code in 3D-VAR ALADIN » by Samir Issara and Gregor Gregoric, VII 1997. This document gives the basical assumptions and formulas used in the computation of the background error covariances : homogeneity, isotropy, normalization, preconditioning. The calling trees for the computation of the Jb-term and of the cost function are also developed. 10/ « Statistic structures of background errors for the ALADIN 3D-VAR scheme » by Maria Monteiro, V 1997. Basic formulas for the computation of error covariances in ALADIN are developed. The error statistics are then obtained by the NCEP-method on 36 h-12 h forecast differences. The results show similar structures to ARPEGE, which shows that the joint use of the Jb-term and of the non-separable error covariances provided by the NCEP-method is of potential interest in 3D-VAR/ALADIN. 11/ « Documentation about the sensitivity configuration 801 for ARPEGE/ALADIN » by Andras Horanyi and Liviu Dragulanescu , V 1997. 12/ « Algorithmic description of the 3D-VAR code for ALADIN with special emphasis on the background term » by Andras Horanyi , XII 1997. This note contains a compilation and description of the set of routines which is used in 3D-VAR/ALADIN. It also contains a report on the phasing towards AL08 of both 3D-VAR and Conf801 routines. 13/ « Synoptic and mesoscale forecast error covariances and balance relationships in a limited area model » by Loïk Berre , IV 1998. Forecast error covariances are calculated with a spectral non-separable scheme, while balance relationships are derived from scale-dependent multiple linear regressions. The computations are performed with the NCEP-method, as in Maria Monteiro’s work (see 10). The error structures sketch the basic physical and dynamical properties of the atmosphere : different vertical structures in the planetary boundary layer and in the « Free » troposphere, synoptic wave activity, tropopause. A new result is the existence of statistical signals between humidity and the other fields, in particular at mesoscale. 14/ « Impact of surface analysis with ISBA and CANARI in ALADIN » by Meriem Zitouni, V 1998. In this work, the impact of surface analysis alone is compared to an all-level analysis (which is much more expensive). Verifications to the observations are performed. A significative positive impact is found for surface geopotential, while there was no noticeable impact for the other fields (2m-temperature, 2m-humidity). 15/ « Computation of error covariances in ALADIN » by Claude Fischer, VI 1998. This document contains some considerations on the proper computation of error covariances in ALADIN. In particular, spectral covariances are revisited and the use of the mean wind in covariance calculations is addressed. Also, computations of mean wind error covariances, using the NCEP-method, are presented and discussed. The results show that the introduction of the mean wind as a control variable in ALADIN is not a crucial problem for the moment. 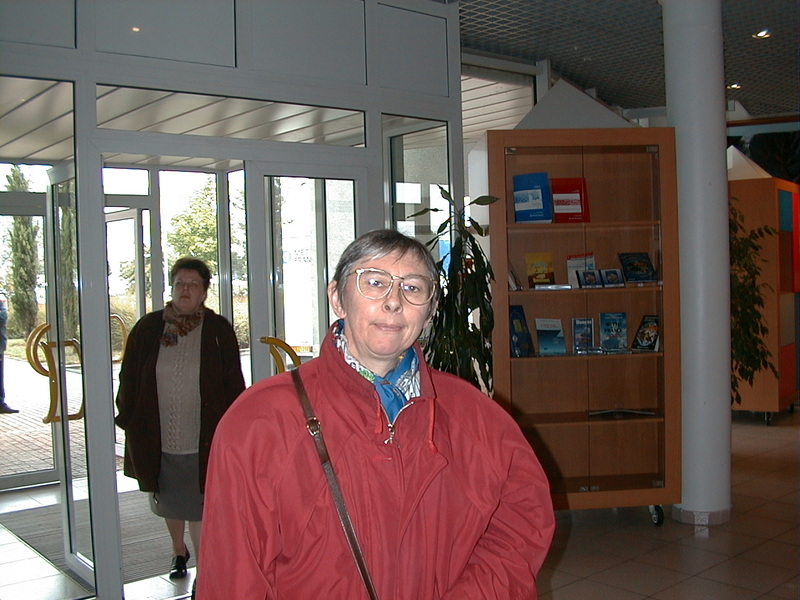 16/ « Adaptation of new Jb for ALADIN and some remarks about the status of 3D-Var in ALADIN » by Maria Siroka, VI 1998. The note presents the changes for the introduction of the forecast error covariance matrix based on statistical relations. This note also describes the status of this development at the date of the report and some blocking points for the near future (3D-Var, covariance files on VPP ...). 17/ « Balanced statistical structures of background errors for ALADIN/LACE 3D-Var » by Maria Monteiro, IX 1998. The statistical error covariances have been built on a 3 month LACE forecast period, using the NCEP method. The results show similar structures as in ALADIN/France, so that the same physical and numerical relationships are traced back. Error variances are slightly smaller than in ALADIN/France. 18/ « Two new configurations for ARPEGE/ALADIN » by Andras Horanyi, VIII 1995. This is a basic documentation about the tangent linear model and its adjoint in ALADIN (configurations 501 and 401 respectively). It is divided into a practical documentation and a report on code aspects. 19/ « Some refinements in surface analysis » by Adam Dziedzic and Witold Owcarz, IX 1998. Sensitivity experiments to the radius of research and to the horizontal range have been performed with CANARI/ALADIN for surface fields. For standard horizontal engths, a strong impact of the climatology was noticed, which could be reduced by shortening the scales. However, this change produced circular spots in the analyzed surface fields. For surface fields, a rather positive impact of orography was also noticed. 20/ « CANARI incremental » by Lora Gaytandjieva , X 1998. · incremental CANARI cannot compete with 3D-Var neither by computing time nor by the quality of the analysis. · CANARI increments are noisier than 3D-Var ones. · there is a necessity of reconsidering the CANARI statistical model for higher resolution. 21/ « Sensitivity study using the 801 configuration of ARPEGE/ALADIN » by Cornel Soci, X 1998. · a simplified physics package is needed in the adjoint model to produce useful perturbations (we use the one of R. Buizza for gravity wave « drag » and linear vertical diffusion). · the perturbed forecasts produce at the best only a very small improvement. Cases more sensitive to initial conditions should be chosen in future. · adiabatic or diabatic trajectories give the same results. 22/ « Impact de l’utilisation d’une trajectoire filtrée sur l’évolution linéaire tangente des perturbations » by Wafaa Sadiki, X 1998. This study was dedicated to assess the validity of using a DFI-filtered trajectory for running the TL model over only one time-step along this trajectory. This so-called 3D-Var would result in a low-cost « poor-man’s » 4D variational scheme. Unfortunetely, the comparison with the classical 4D-Var shows that the filtered trajectory produces worse results on some analyzed fields (V850, V500, U850, U500, ...). Thus, even when used for the first minimization iterations, the method would not give any benefit (although it is cheaper, more iterations would be needed). 23/ « CANARI : Technical Documentation » by Cornel Soci, III 1999. This is the English CANARI user’s guide and technical documentation. The text is also available on the ALADIN web page and in HTML format, thanks to Patricia Pottier. 24/ « The observation screening in ALADIN 3D-Var data assimilation system » by Wafaa Sadiki and Cornel Soci , VII 1999. The work consisted in implementing the data selection by the « screening » system into ALADIN. This task has been fulfilled successfully and the note shows some examples of data screening for the limited area model along with statistics on data rejection. All types of available data in cycle CY21T1 can be used : SYNOP, AIREP, TEMP, SATEM, SATOBS, etc... (including the recent use of TOVS data in SATEM). Some technical hints or developments are explained, such as the tuning of the horizontal lengthscale for data thinning or the recomputation of satellite biases. Technical note / ALADIN 3D-Var workshop 1999. 25/ « The development of three-dimensional variational data assimilation scheme (3D-Var) for ALADIN » by Maria Siroka and Andras Horanyi, VII 1999. This note describes the technical validation of the 3D-Var configuration in ALADIN. The development is based on the background statistics from the NMC-method plus a number of extra code lines to take into account the ALADIN geometry (mean wind, limited area interpolations, wind projections on the plane). single-obs experiments show rather large horizontal scales for the analysis increments (about 400 km) and biperiodic structures (because the E-zone is treated like the C+I zone). The balance relationships implied by the multivariate approach are physically consistent. multiple-obs experiments show that the analyzed state isnot absud and robust enough to be used in a forecast. Remaining technical problems concern the computation of Jo in distributed memory. The first scientific items to tackle are the removal of the largest scales (so called « decremental ») and the removal of the E-zone. 26/ « Adaptation of new Jb for ALADIN » by Maria Siroka , VII 1999. This note describes the scientific basis and the technical implementation of the statistical background error matrix in the 3D-Var system. A thorough description of maintenance and validation issues is also provided.